A while ago when I was really itching for spring to arrive, I saw a fabulous article in the Martha Stewart Living Magazine. 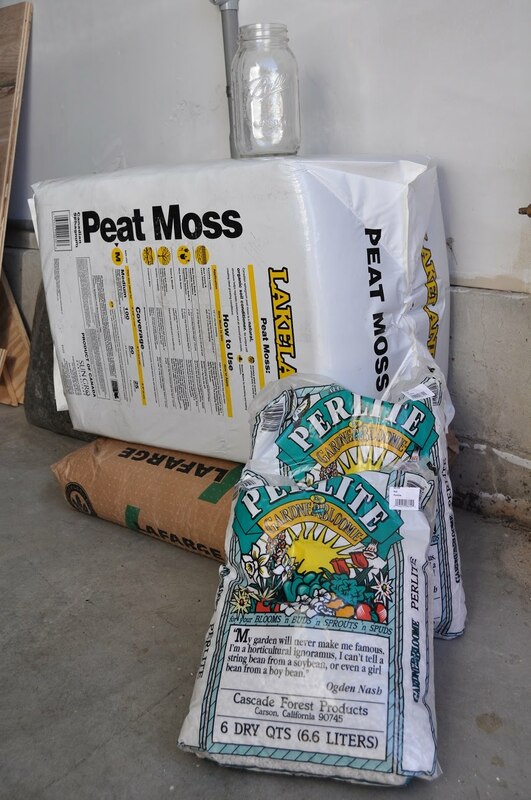 It showed how to make your own flower pots using concrete, peat moss, and perlite. I just knew I had to try it for myself. I duped my unsuspecting husband into joining me in my endeavor. 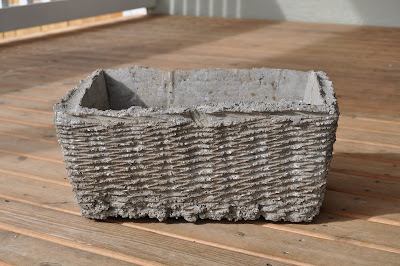 The word concrete rolled off my tongue and suddenly we were in the car on the way to the hardware store. 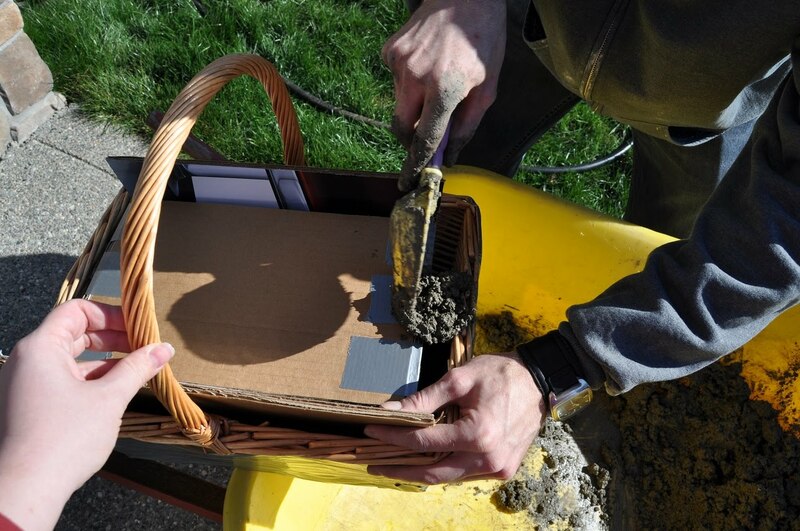 We gathered all the supplies along with a basket as our "mold" and then we were ready. 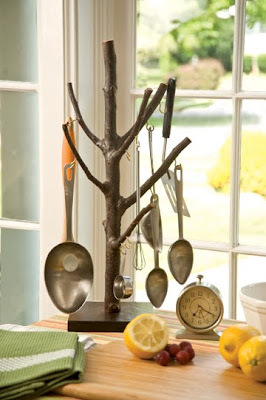 For all the measurements and directions you can visit Martha Stewart's website article here. 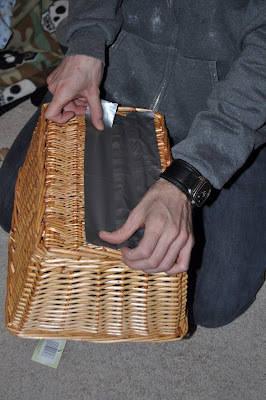 First we duct taped the basket so none of the mixture would be able to seep out after we poured it in. 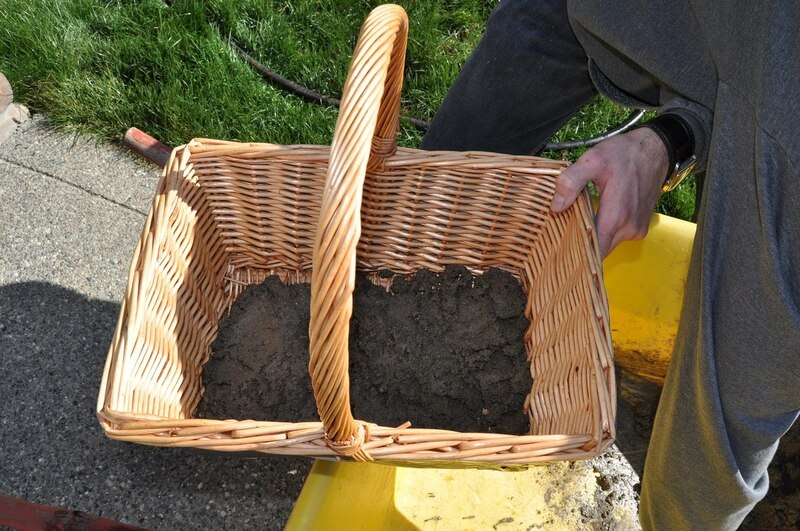 Next we mixed the items in our wheelbarrow and then spread some onto the bottom of the basket. We then placed a box inside as our inner mold and filled in all sides with more mixture. Then we let it dry for a few days before cutting the basket off. Then we drilled some drainage holes in the bottom of the finished pot. Voila! Isn't it pretty? I love the weaved look. You can file the edges down so they are smoother, but I really liked the rustic look so I left mine alone. 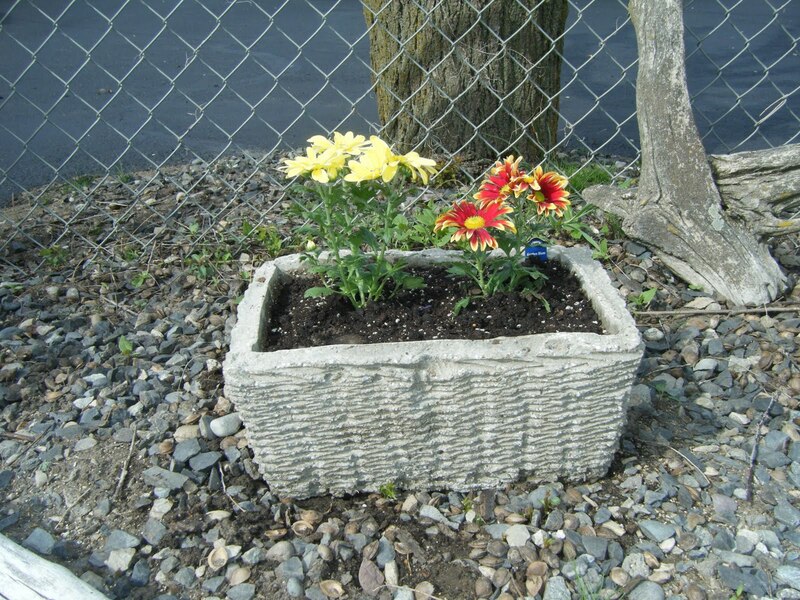 My mom received this pot as a birthday present and it looks perfect in her backyard. I am hoping to try some more kinds now that I know it was successful! Congrats!! 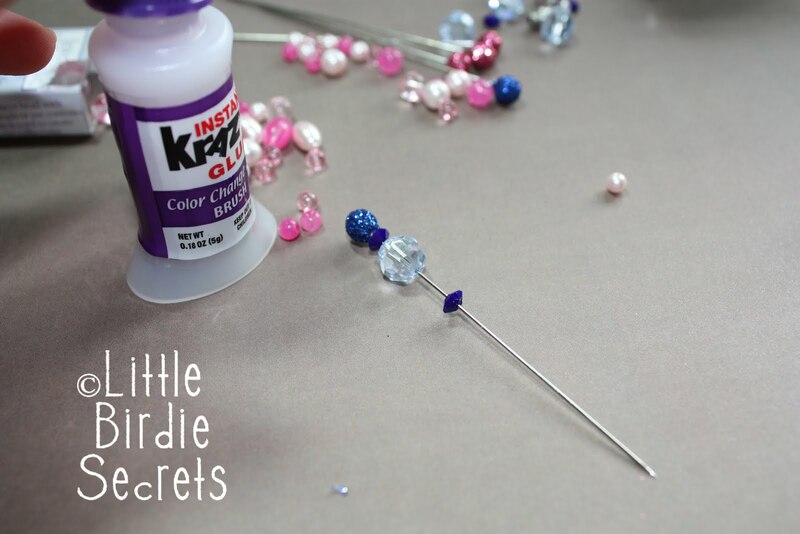 Please email us at littlebirdiesecrets@gmail.com to claim your prize. 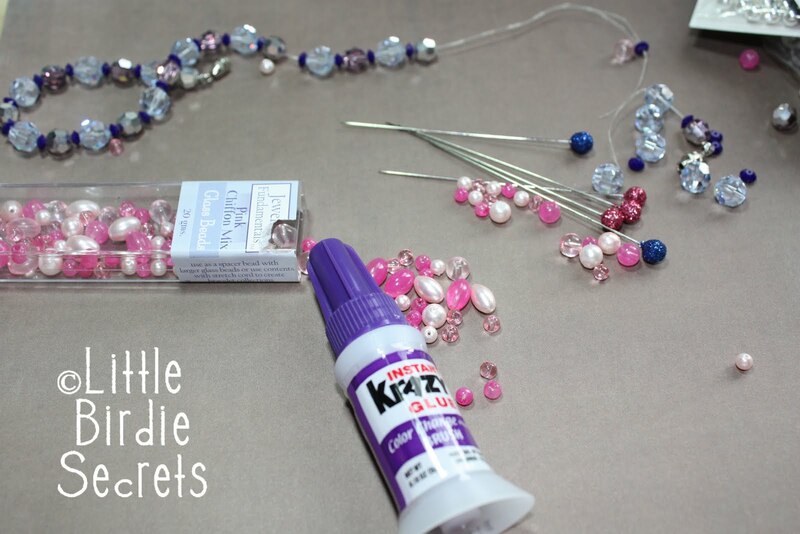 Well, by now you should know that we love crafting and we really love crafting with friends. There is something special about working with others to make something beautiful. 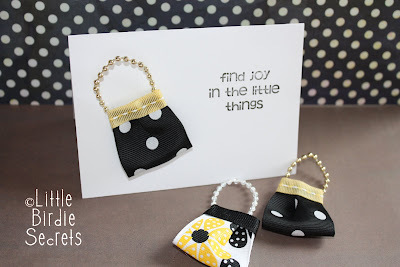 We all know that crafting by itself brings joy into our lives and if you share your craft with others you can see how this joy can quickly expand to touch the lives of so many people. 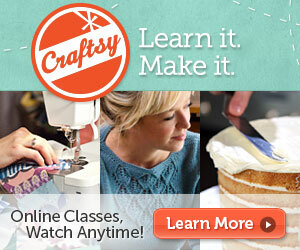 We are not the only ones that believe in sharing your talents and crafting together. Jo Packham and Nancy Soriano created a three day conference in Minneapolis, MN for individuals looking to network with other like minded individuals, learn a new skill and market their products. The Creative Connection is an amazing event that will have some fantastic speakers there to teach and inspire you. Just look at the class list. AMAZING! This event is sure to be a wonderful opportunity so grab a friend or two. You can register HERE. It's a little late, but this post is in honor of Earth Day. (I was just too busy on Earth Day to post it!) Recently we got a copy of a new crafting book called Tree Craft: 35 Rustic Wood Projects That Bring the Outdoors In by Chris Lubkemann. When I first heard about it, I admit I wondered if it would be a little hokey. Okay, I was totally wrong. This is such a cool book! 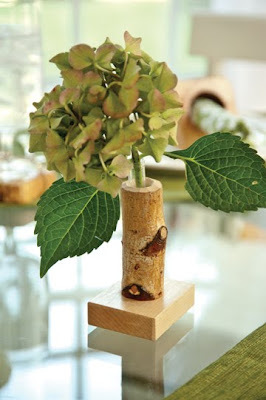 Check out some of the beautiful projects Chris shows you how to make using tree branches or stumps that you can find for free. They're totally "green." And several of them would make great Mother's Day gifts. . .
My favorite is probably this curtain rod. 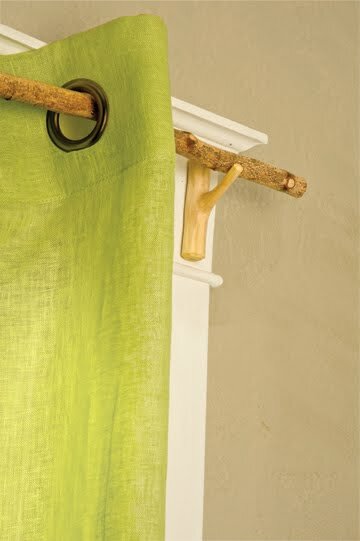 Have you noticed how expensive curtain rods are? Even at Target? I could go walk around in the woods behind my house and find a curtain rod just laying on the ground! Brilliant! The other thing I like is that these projects are not just for cabins. Yes, most of them are PERFECT for cabin decor, but I could see myself using these in my own home, too. 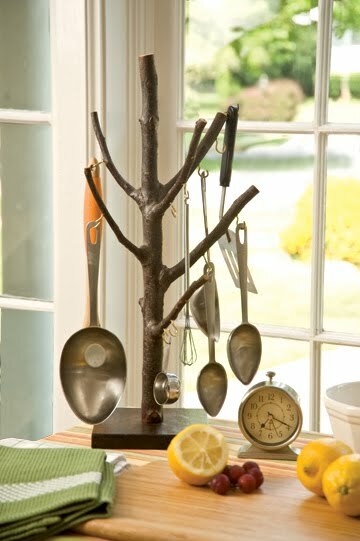 Like how cute is that spoon hanger? 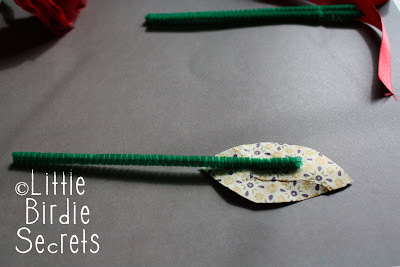 That would be darling with kids photos hanging from it for Mother's Day. . .hmmm, I feel a project coming on! 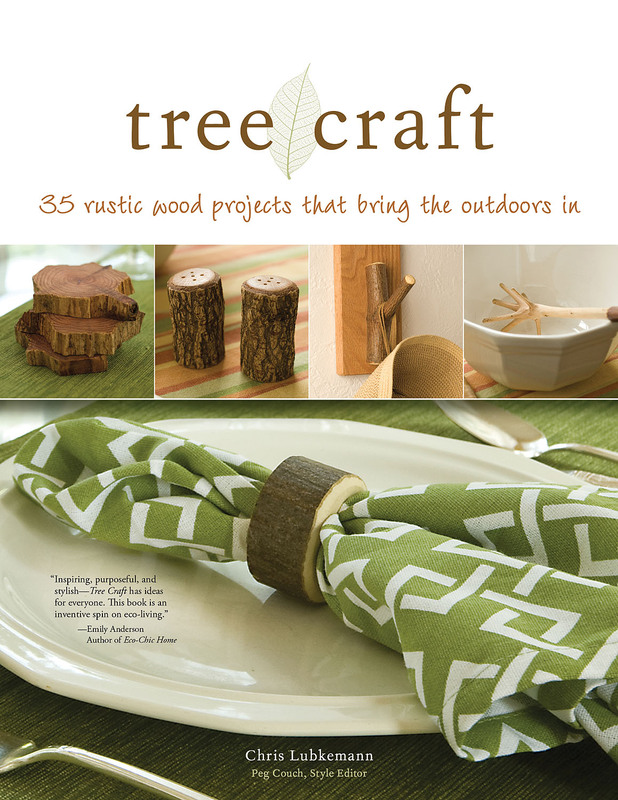 If you want to find a copy of Tree Craft, start here. 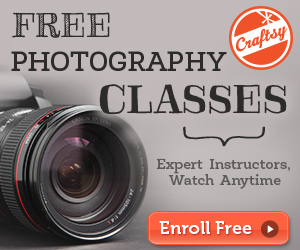 The photography is great, the instructions are clear and simple, and the ideas are genius. Love this book! One year for Mother's Day, my husband got me a copy of Adobe Photoshop. 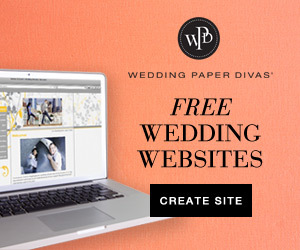 It is an amazing software program that I use almost every day. Recently Stacy got a copy from her husband as well, and she has been using it with her new camera. Because it is professional photo editing software, it is way more powerful than we actually need. I know I'm missing out on a lot of what it can do because I don't have time to take a class to learn how to use it. 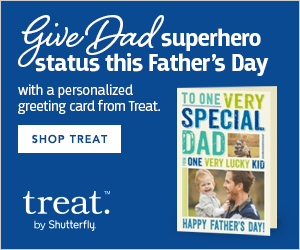 So I've got a little birdie secret for you: Adobe is offering Photoshop Elements for $30 off through their Web site through May 10. It's only $69.99. That is a great deal when you think about how much better your photos will look! And if you like making videos, they have a bundle that combines Photoshop Elements with Premiere Elements 8, which is their new video editing software, for $50 off (so for both it's $99.99). Premiere is definitely on my Mother's Day list! (Hint, hint! I hope my DH is reading!) Maybe you should forward this to your DH. I'm just saying. First the radio, now an ebook. We are on a roll. Thank you Favecrafts for adding our fancy "Not Your Mama's Rubber Gloves" to your creative compilation of Mother's Day Crafts ebook. 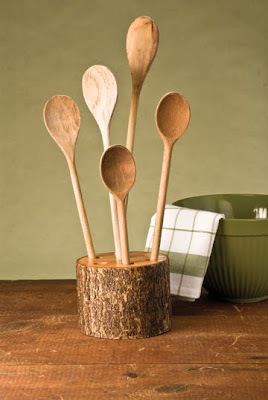 Still stumped on what to make for your mom, aunt, grandma, or mother-in-law? This book will provide you with some great tutorials on projects that are sure to make them smile. Some of the most creative individuals we know are also featured in this free downloadable 2010 Blogger ebook, so this is one resource you don't want to miss. 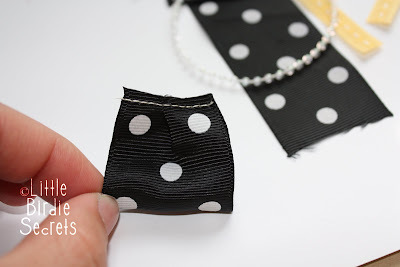 Here is a tutorial for a simple purse that can be used on almost anything. Fold your purse ribbon in half and then make a pleat at the top. Sew it in place. 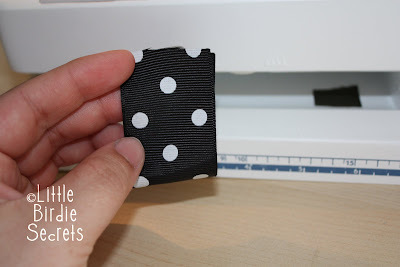 If you don't have a sewing machine you can either hand sew it or try gluing it. Next, glue on your coordinating ribbon and then the purse "handles". 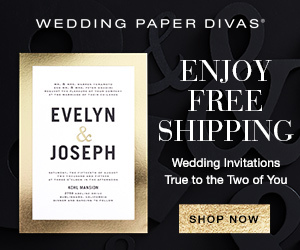 Now add this to your card, scrapbook page, or gift tag! I have some sad news. No, no one is hurt or sick or anything. But I'm sad to report that I'm losing my job at Lasting Memories. 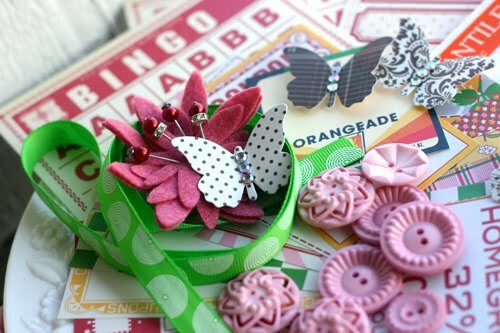 The best scrapbook store in Washington state is closing! 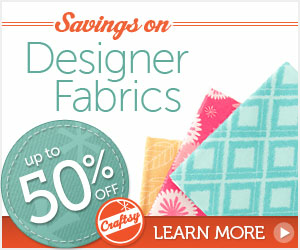 So now I don't have a great place to work OR buy scrapbook supplies! Boo hoo! You can read more about it in my blog post here. It's a wonderful thing for the owners, but a sad thing for the rest of us. For you local friends, I know you'll be sad, too. 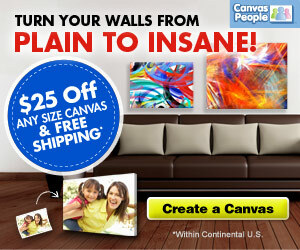 Starting Monday we're having a huge sale--you know, everything must go! Come visit me and stock up on all the stuff you won't be able to find locally anymore at a great price. The store will be open 11-7, Mon-Sat until everything is gone. The cool thing is that we'll be getting brand new stuff over the next few weeks, and you'll be able to get it for 20% off or more. We had so much fun being a part of tonight's FaveCrafts Radio show. Did you miss it? Never fear! You can download it anytime. Just go HERE. You can find it in the "On Demand" section for April 25th. Meet our new BFFs. Seriously, these two brothers, Nick and Chris, have the best job in the world and are seriously two of the funniest guys in the Seattle area. They own Oh! Chocolate AKA our new favorite place ever to exist. A few months ago we booked a chocolate class and patiently waited for our special chocolate day. Um, it was worth the wait because this class is AMAZING!! Seriously, it is "died and gone to heaven" amazing. When we arrived they served us the best hot chocolate we've ever had. It tasted like melted chocolate with whipped cream on top. Nick shared his hot chocolate secret with us and let's just say we vowed to hit the treadmill or put in our favorite workout DVD in the morning. The hot chocolate alone is worth a trip to their stores. They then served us a plate full of chocolate for the taste testing portion of the class. Look at this. We each got our OWN plate. They shared with us how chocolate is made, what the differences are and we had so much fun taste testing them all. It was all very entertaining and we were laughing as much as we were eating. We were interested to know that their bittersweet and their semi-sweet are vegan. They did not contain any milk at all and they were DELISH. We experimented with different items and had a lot of fun. I think the most unusual combo is the chocolate potato chip. Store rules say you have to lick your fingers clean when you are done because chocolate clogs up the drain. Of course, we were good little birdies and did as we were told. They didn't have to ask us twice to eat more chocolate. At the end of the night we were sent home with a heavy box of chocolate dipped goodies. I think we have enough to last us a good month or so. Well, what do you think? Did we make you want to go to Oh! Chocolate too? Seriously, if you are ever in the vicinity of an Oh! Chocolate RUN do not walk to the nearest store and see what it is all about. Take a class if you can. If you happen to bump into Nick or Chris make sure you tell them, "Hello!" and tell them a little birdie sent you. I've been having way to much fun "practicing" my baking skills and then sharing them with everyone. Hey, a gal can only eat so many cupcakes and cookies and I am a firm believer in sharing. I think my friends and neighbors are now sick of the cupcakes and sweets too and my recent facebook post begging folks to give me a reason to make more cupcakes went unanswered. Even Jessica, my trusty taste tester, threatened to quit. She said something about sugar overload. I have no idea what that is--ha! Thankfully she loves me and kept her job as taste tester, but did ask me to slow down. Sadly, I took a brief hiatus from baking and I've been focusing on cleaning--boooo! Thankfully, someone rescued me from my cleaning, er, I mean gave me an opportunity to bake. There is a luau coming up and they need people to bring desserts. Yippee! I thought it would be fun to bring both cupcakes and cookies. I dug around the kitchen and found a starfish cookie cutter and a salmon cookie cutter. 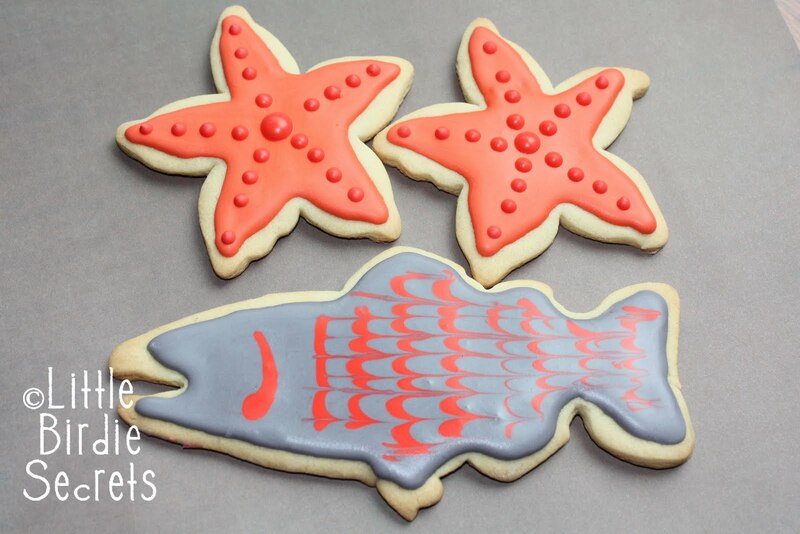 I wish I had a tropical fish cookie cutter, but this little guy will have to do. I gave him a marbled look so he would be a little more festive. I'm lovin' this royal frosting thing. You may be seeing more of it in the future. 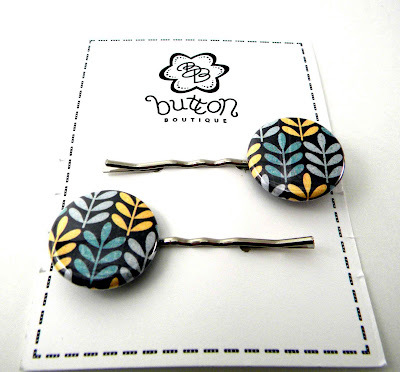 We would like to welcome Button Boutique as our newest sponsor! Have we mentioned how much we love our sponsors? Well, we'll say it again. We do! 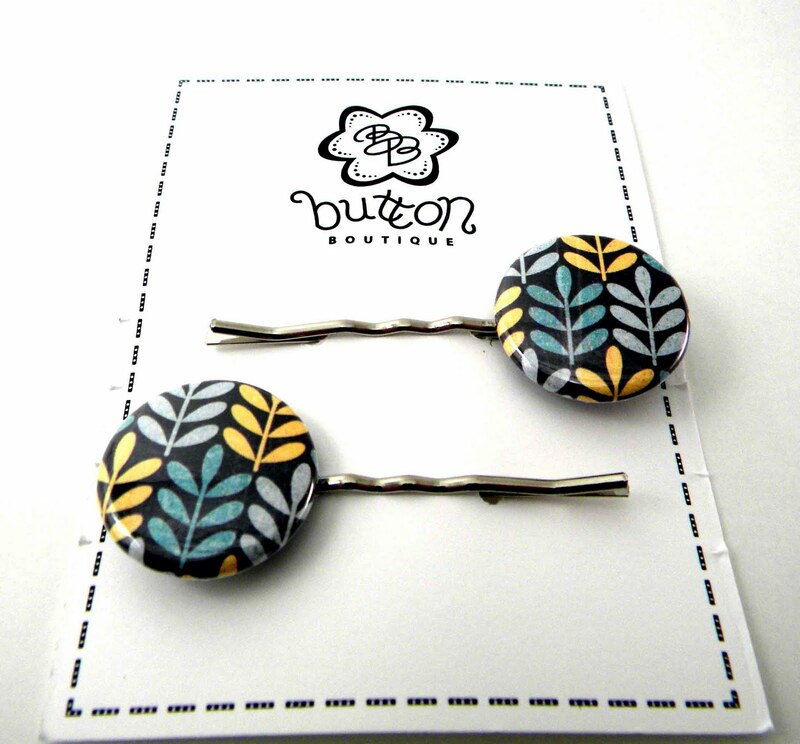 Button Boutique is a fabulous shop. I love their story of how they got started. "It started as an "uh-oh, I didn't think I would win" purchase on eBay. 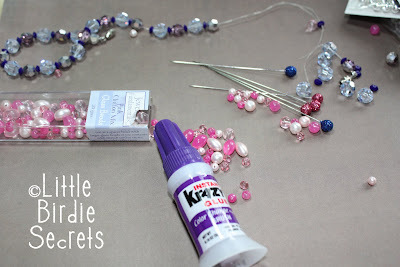 In order to pay for the cost of our new crafting tools, the Estes girls quickly got to work creating all things buttons. Buttons became a creative outlet for some and an obsession for others. Slowly it evolved into a small business - one in which all Estes girls (ages thirty-something to three) help keep going. With a houseful of six gals (and one very patient man) creating and making things is a daily event, one that seems to be a necessity. Creating brings us happiness and sometimes a little extra cash. We make adorable button earrings, pocket mirrors, hair accessories, magnets, zipper pulls, and other button goodies. 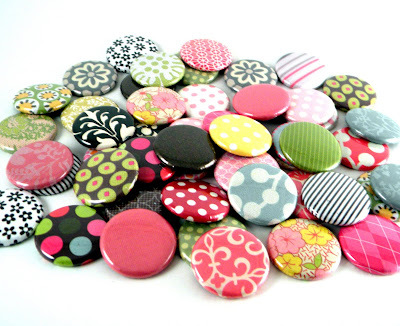 One of our more popular items on etsy is our bulk supply of assorted flat back buttons. 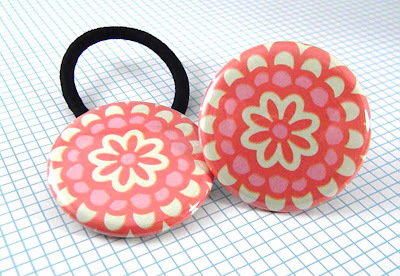 The buttons are great for scrapbooking, card making, bows, and/or to make your own jewelry. 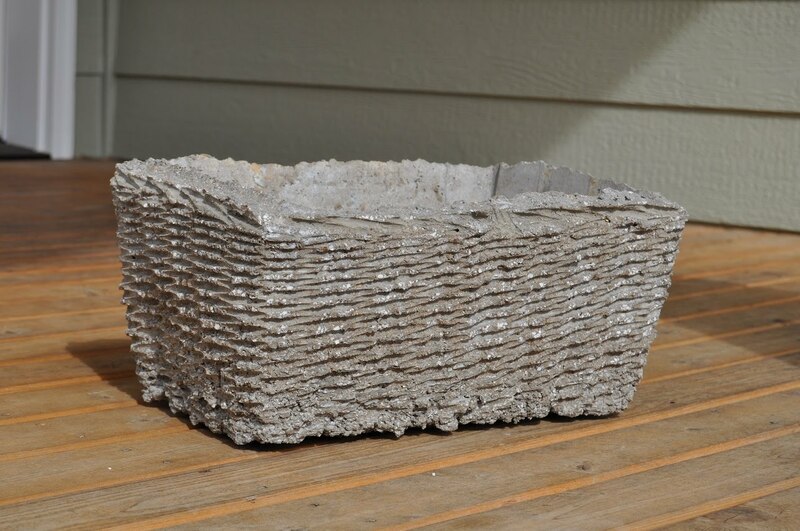 Most of our items are priced below $5.00 and make great gifts for yourself or others! All of our products are made using the loveliest of papers and are hand pressed resulting in a beautiful and high quality product." Awesome! I am an obsessive card maker, so this shop is PERFECT for me! I am loving all the pretty flat back buttons. Check out all these gorgeous goodies in their shop. Yikes, I feel a purchase coming on! 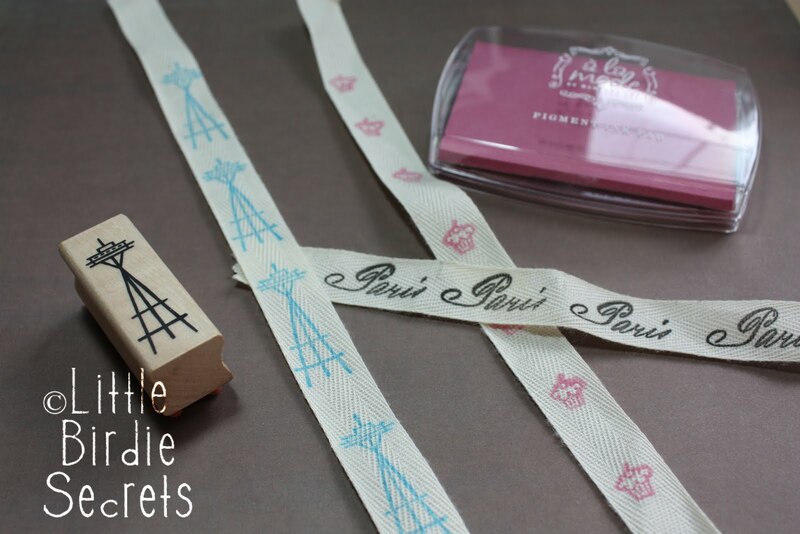 Lucky for you...there is a chance to win some of these fabulous goodies. 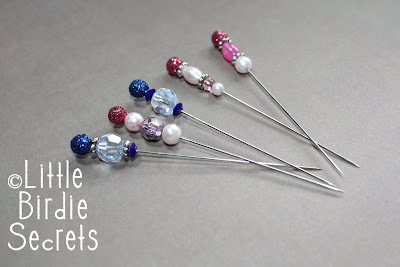 Button Boutique is offering one of our readers their choice of 100 assorted flat backs OR an assortment of the pocket mirror, ponytail, and bobby pins. Sweet! 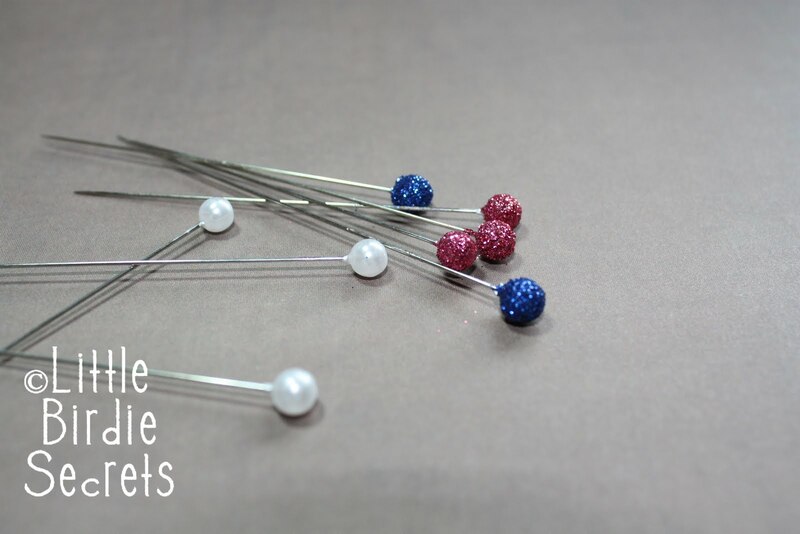 All you have to do is visit Button Boutique and find your favorite item. Then come back and tell us what it is. 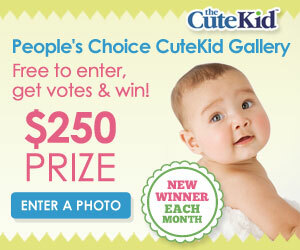 The giveaway will end Tuesday, April 27th at 11:59 pm PDT. Good luck! Congrats! 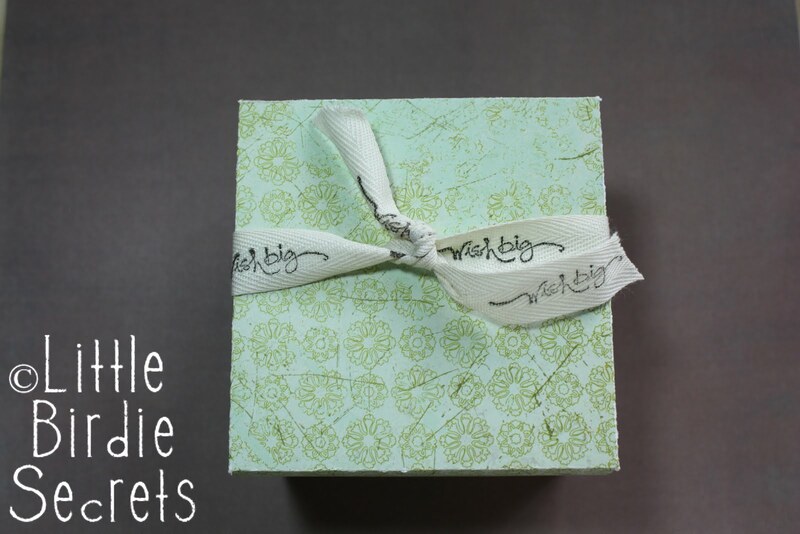 Please email us at littlebirdiesecrets@gmail.com to claim your prize! Here is a simple way you can personalize any gift, card or scrapbook page. 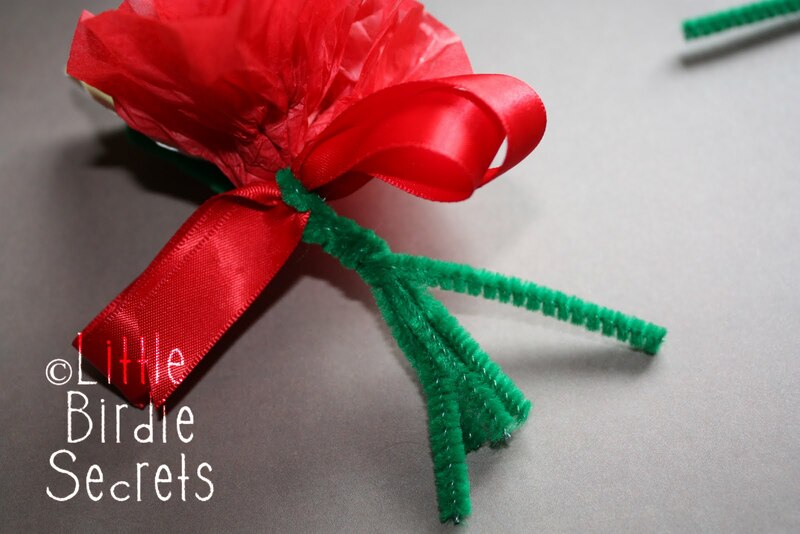 You can use any stamp, ink pad, and twill tape to make a cute ribbon that will add a special touch to your gift. We've used pigment and dye inks, and both work well. Staz-On is also an option. You can even use re-inkers to dye your twill a different color! 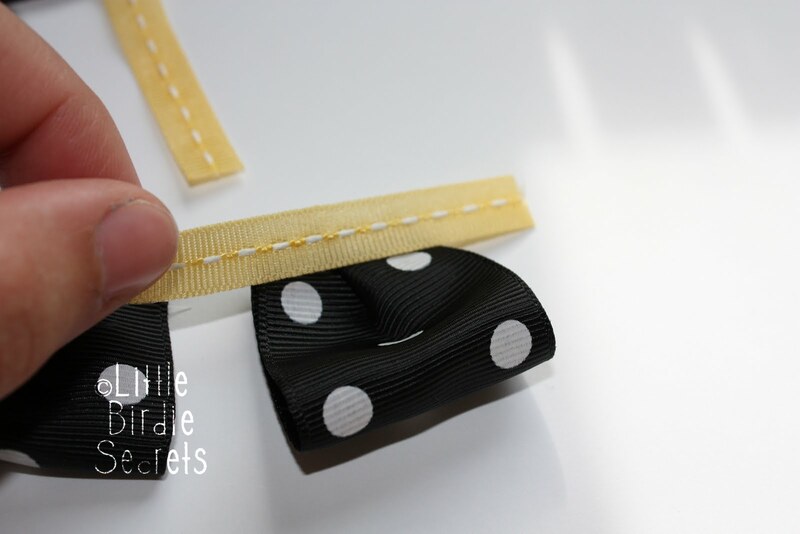 To personalize your twill tape, just cut it to the size you need, select your stamp and ink, and stamp away. 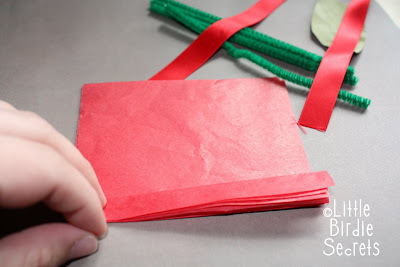 Try repeating an image over and over, or using alphabet stamps to write a message. You can buy twill tape in various widths and colors, so the options are endless. (In case you are wondering...here are the links to my stamps: Cupcake and Wish Big, Seattle Space Needle, Paris). Our friend Anne Beale also sells a collection of three sizes of twill tape on one card--a great way to test this technique out. Enjoy! How cool is it that we're going to be guests on a talk radio show this weekend?! 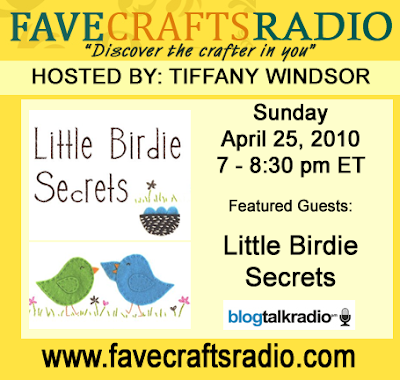 The host of the Fave Crafts radio show on BlogTalk Radio invited us to be on the Sunday, April 25th show and we were flattered! 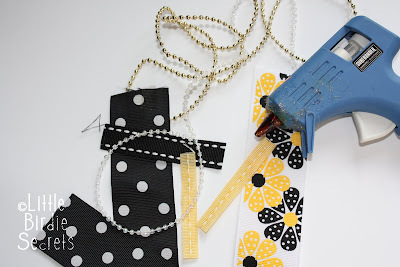 It's a little nerve wracking, but we're really excited to share a little more about our blog and some of our upcoming projects with crafters all over the country. So if you're around on Sunday, April 25th at 4:00pm Pacific Time (7:00pm Eastern), log on to http://favecraftsradio.com and listen in! Register on their site to listen and get an e-mail reminder for the show. If you miss it, archived podcasts can be streamed directly from the FaveCrafts.com Web site or downloaded for free through iTunes. One of the most exciting things is that we'll be on the same show as Jenni Bowlin, one of my favorite scrapbook supply designers. Check out her site to see her amazing stuff if you don't know who she is. The other amazing guest is Wendy from The Shabby Nest, another one of our favorites! We couldn't be in better company! 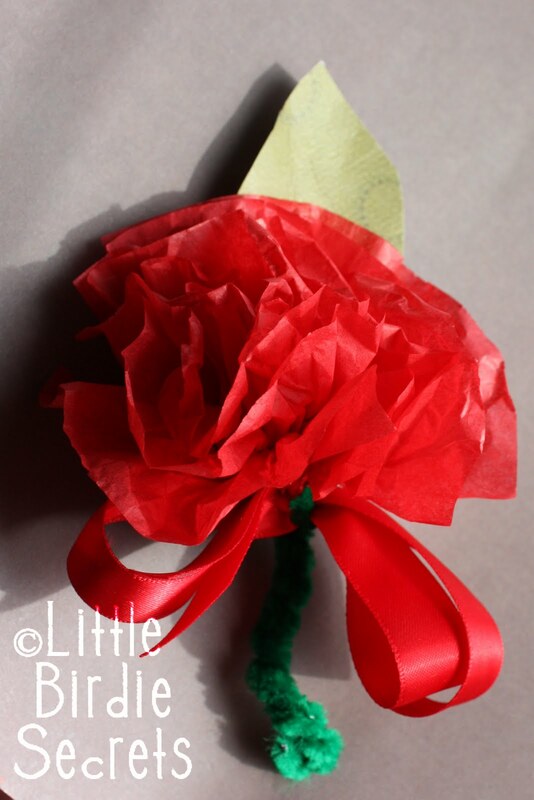 Erica emailed us and asked us if we had a kid friendly version of our Paper Rose Corsage. Here is a simple corsage that is quick and easy to do with your kids and still beautiful. I think any mom would love getting these on Mother's Day from their child. Make your tissue paper carnation. 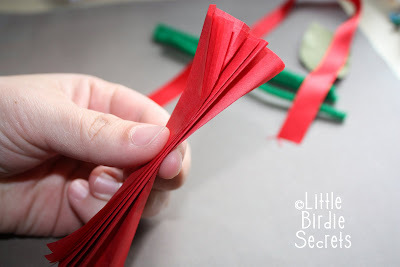 Fold all of your tissue paper like a fan or accordion. 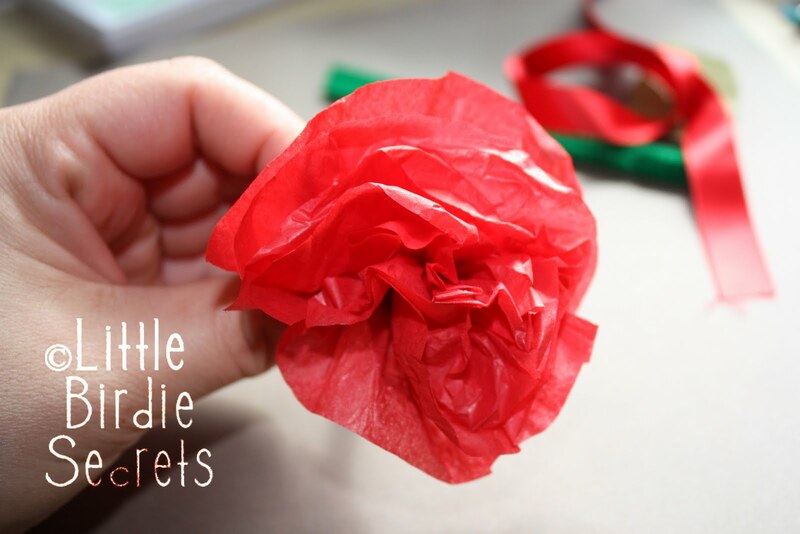 Take one of the pipe cleaners and twist it around the center of your tissue paper. 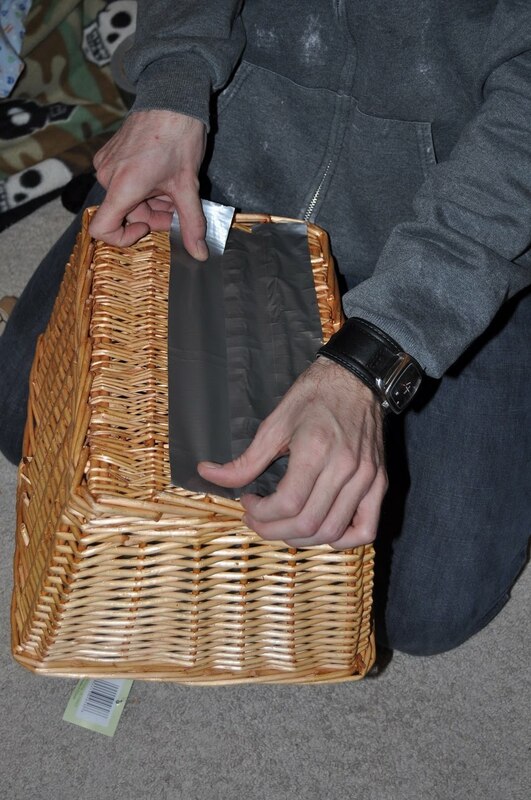 Very gently separate the sheets of tissue paper. 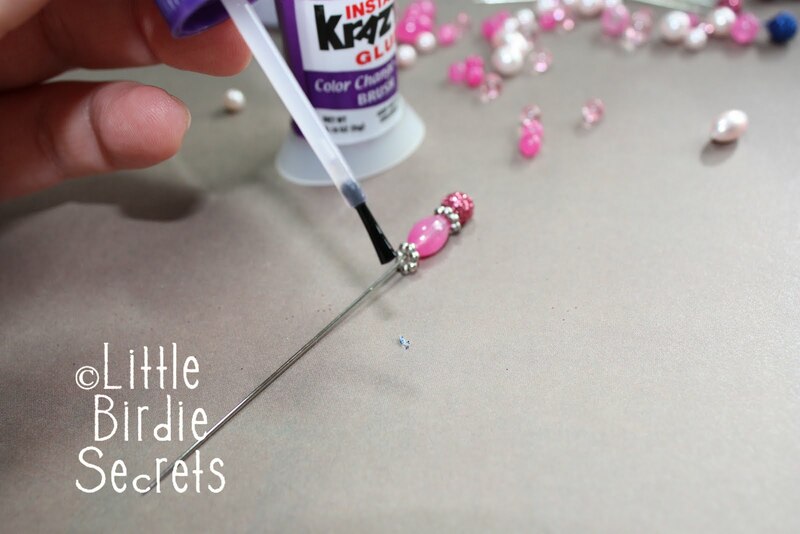 Fluff, puff, and mold it until you are happy with the look. Next, glue or tape your leaf or leaves to a pipe cleaner. 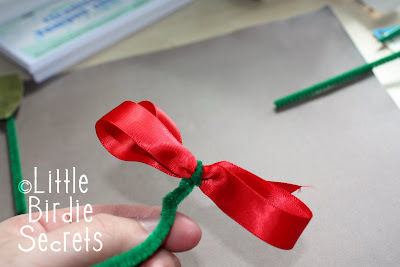 Now, work on your ribbon. Just loop it a couple of times in a circle and tie in the middle with a pipe cleaner. 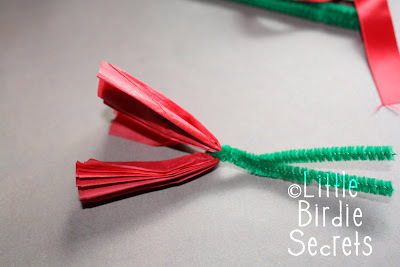 Fluff and puff your ribbon too. Layer all the pieces together. 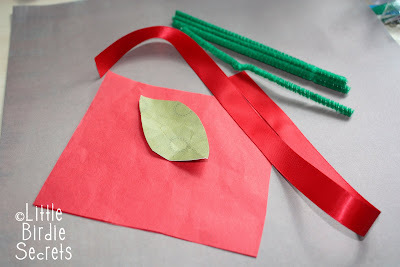 Put the leaf in back, then the carnation and then the ribbon. Twist all the pipe cleaner "stems" together to make one nice looking stem. Use a pencil to curl the bottom up to help finish it.